v1.61. Fixed the in-game mod editor lists not displaying. NEW: Added new factsheets from the Anderson DLC. FIXED: Updated program help file. FIXED: Optimized code in 3rd Party Mod Editor and In-game Mod Editor. FIXED: Issue with notepad++ giving file not found error when choosing as default xml editor. THIS IS NOT A MOD. 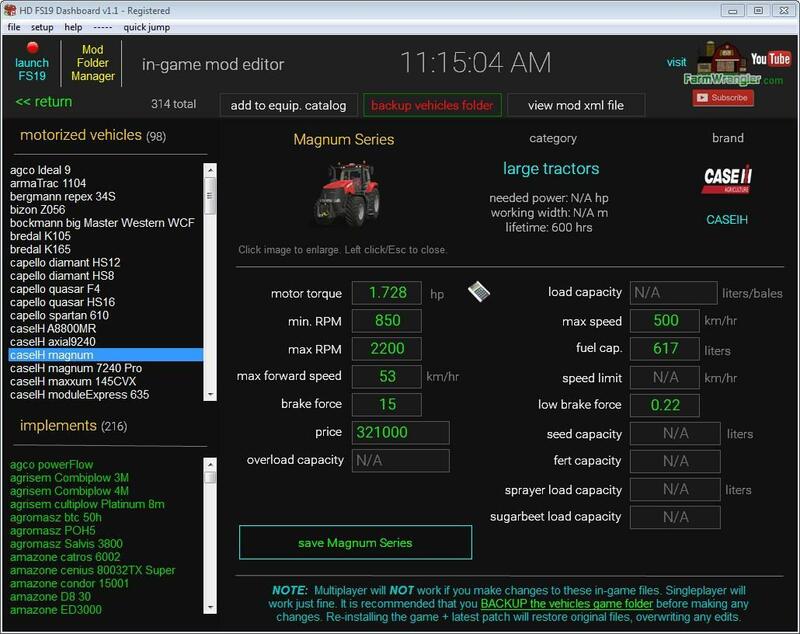 It is a Windows 32bit application that enhances the gameplay in FS19. Do not put it in your mod folder. It has an installer that will install it to your hard drive.